The Ohio Craft Brewers Association presents Ale-O-Ween, a frighteningly fun Halloween beer festival! 40 Ohio craft breweries will be on hand pouring seasonal beers and regional favorites. Come dressed to impress/scare/distress to win prizes in the costume contest! Enjoy live music by The AmpFibians and Team Void, plus food trucks and the most awesome face painter you’ve ever seen! Come dressed to impress/scare/distress since there will be a costume contest as well as live music (The AmpFibians and Team Void), food trucks (Drunken Waffle and more) and the most awesome face painter you’ve ever seen! Ale-O-Ween Six Pack: Buy 5 tickets of the same type at standard price and get the 6th free! Regular Admission: $40 advance, $50 at the door 6:00PM-9:00PM. Includes a souvenir glass with 20 tickets for 4 oz. samples. Early Admission: $50 advance, $60 at the door 5:00PM-9:00PM. Includes a souvenir glass with 20 tickets for 4 oz. samples. Designated Driver Ticket: $15 Includes a food truck voucher. DDs can enter early if accompanying an Early Admission ticket holder. Sampling strictly prohibited. 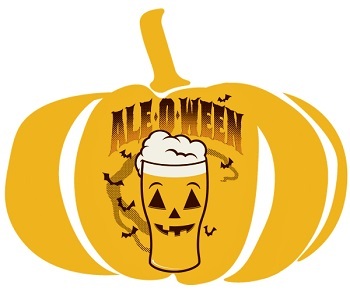 Ale-O-Ween is a fundraiser for the non-profit Ohio Craft Brewers Association. No one under 21 admitted AT ALL (this applies to DDs and your newborn as well). No backpacks, messenger bags, oversized purses or other carrying items permitted.